Superman Movie Minute #14 - You've Got Me? Who's Got You? SUPERMAN MOVIE MINUTE #14 – You’ve Got Me? Who’s Got You? In minutes 66:00 – 70:00, Lois’ helicopter crashes, but the day is saved by…Superman! Special Guest: Michael Eury! Merry Christmas, Nuclear Subs! ‘Tis the season, as they say, and have we got a relevant team-up for you! 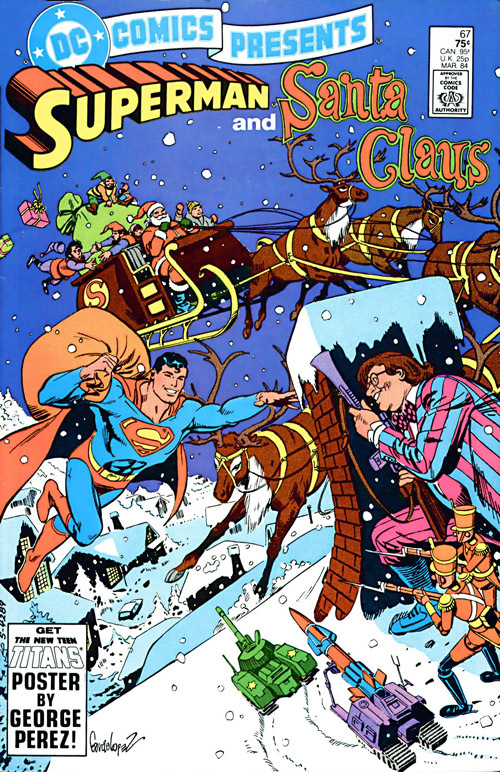 Superman and Santa Claus from DC Comics Presents #67, a veritable Holiday classic, as dissected by our resident Grinch Siskoid, and Mister Christmas himself, Chris Franklin (you can’t spell Christmas without “Chris”, you know)! Plus, Season 1 feedback! Take a break from the familial chaos, pull your feet to the fire, and enjoy! Just in time for Christmas, Rob welcomes back fellow Fire and Water Network All-Star Chris Franklin (SUPER MATES) to talk about LIMITED COLLECTORS’ EDITION C43: CHRISTMAS WITH THE SUPER-HEROES, starring Batman, Superman, Wonder Woman, Sandman, and The House of Mystery! 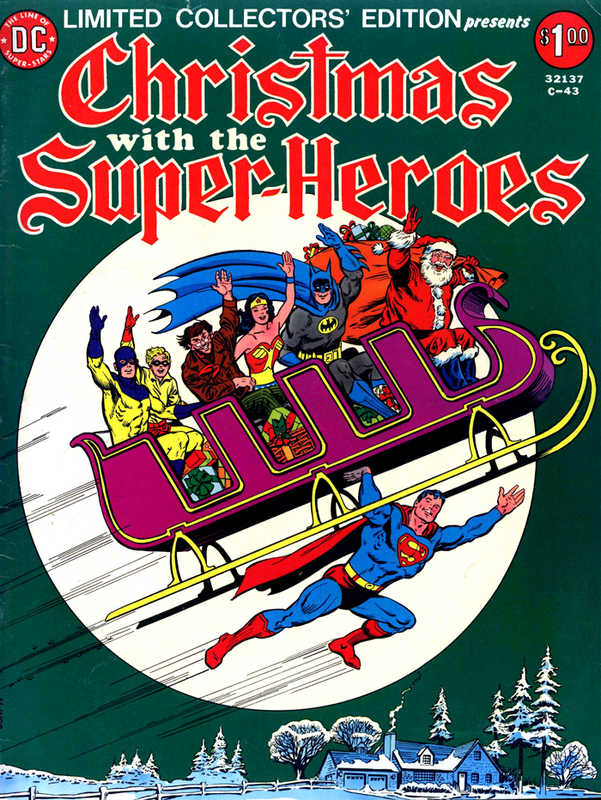 Images for TREASURYCAST #20 – CHRISTMAS WITH THE SUPER-HEROES! Leave your comments over on the podcast post by clicking here! 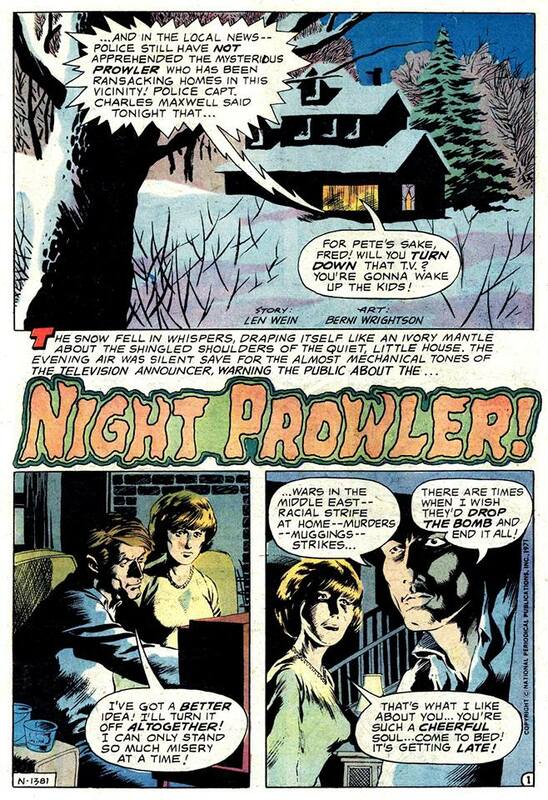 On this special episode, PJ Frightful presents “Night Prowler” originally published in House of Mystery #191, a heartwarming tale of Christmas terror featuring the voices of Chris & Cindy Franklin and the Irredeemable Shag. Music produced by Neil Daly. Additional music: “Carol of the Bells” by John Williams. Check out these images from episode 18 of Midnight… The Podcasting Hour! “Night Prowler” written by Len Wein and illustrated by Bernie Wrightson.